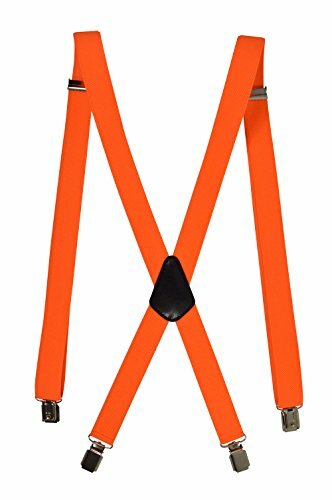 High quality, multi purpose fully adjustable clip on X-Shape braces - 2 clips on the front and 2 on the rear. The straps are 25mm in width, giving a highly fashionable, 'skinny' look compared with standard width braces. They have a leather crossover and strong, high quality metal clips. One size fits most.